If any voter wants to get information from any other district, then they can get the required information by dialling the number 1950 along with the STD code of the district. In view of the upcoming Lok Sabha elections, the Chief Electoral Officer, Haryana, on Thursday asked the representatives of all political parties to inform the voters about the Voter Helpline Toll Free Number – 1950. Through this number, voters can get information about their form status, polling station, Assembly constituency, and District Electoral Officer. Apart from this, if any voter wants to get information from any other district, then they can get the required information by dialling the number 1950 along with the STD code of the district. At a meeting chaired by Shekhar Vidyarthi, Director, Environment and Climate Change Department, appointed to assist the Chief Electoral Officer, representatives of political parties were informed that the voter list has been prepared by the Commission and two copies each have been given to all political parties. In order to prepare error-free voter lists, the representatives were requested to appoint Booth Level Agents (BLAs) at all polling stations in all 90 Assembly Constituencies of Haryana as per the directions of the Election Commission of India. The designated Voters list has been published on January 31, 2019. In case they have any objection, they can inform the Commission. The representatives said that that they have no objection in this regard. It was informed at the meeting that according to the instructions issued by the Election Commission of India (ECI), all political parties and candidates should strictly adhere to the laws regarding the election expenditure. If a candidate does not keep account of his election expenditure in a proper manner or does not enter in the register, then they can be disqualified from contesting elections for up to three years. 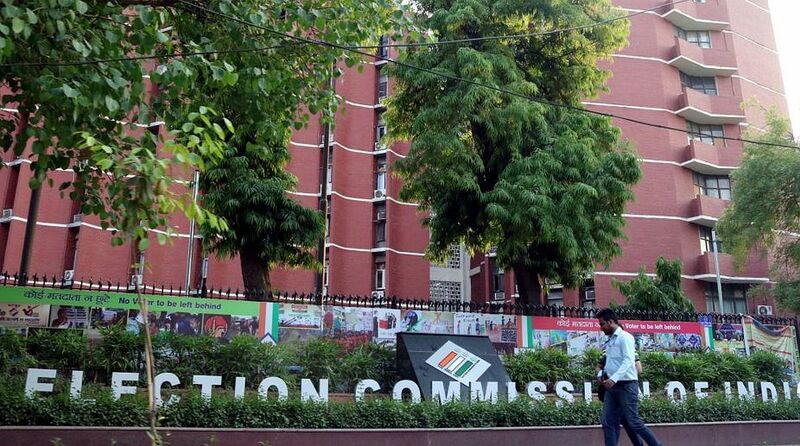 According to the directions of the ECI, every candidate can spend an amount of Rs 70 lakh on the election campaign in the Lok Sabha General Elections 2019. While filing nomination papers, the candidate will be given expense register in which the details of funds and election expenses should be kept separately. Before filling up the nomination papers, the candidate has to open a separate bank account and get issued a cheque book. Candidates can spend up to Rs 10,000 in cash and the expenditure above this would be borne through cheque. Election Expenditure Observer will be appointed by the Election Commission of India for the purpose of monitoring election expenses.